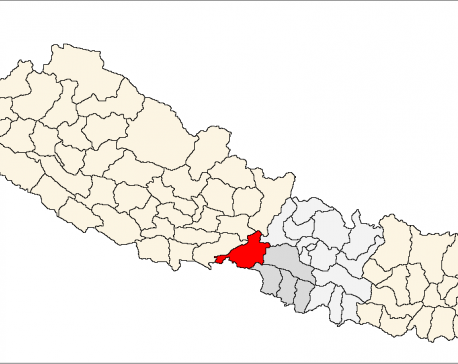 Bharatpur, March 19: Three persons have lost their lives in separate incidents in Chitwan last night. at 1.00 am today, confirmed the District Police Office, Chitwan. The accident took place when the motorbike (Ba 91 Pa 348) en route to Tandi from Bharatpur hit the divider of central bus terminal chowk after losing control. He breathed his last while undergoing treatment at Bharatpur hospital. Critically injured Somnath Sedhai, 38, of Dhading Kayapur-5 is being treated at Chitwan Medical College. Likewise, a woman died in a rhino attack in eastern Chitwan. Janaki Chaudhary, 55, of Ratnanagar municipality-6 was attacked by a rhino while she was cutting grass in the Chitwan National Park. Seriously injured Chaudhary died in course of treatment at Chitwan Medial College, informed District Police Office, Chitwan. In another road accident, a person died and other four were injured when a Narayangarh-bound truck (Na 16 Kha 144) from Muglin fell into the Trishuli River this morning. The truck fell into the river from a bridge at Ichhakamana-6 of Chitwan along the Narayangarh-Muglin road section at 7.00 today, confirmed the Area Police Office, Muglin. Four injured are being treated at Bharatpur Hospital. Two among the injured are women.